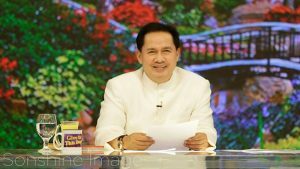 BEFOR the historic summit between United States President Donald Trump and North Korean Leader Kim Jong Un takes place in Singapore tomorrow, Pastor Apollo C. Quiboloy of The Kingdom of Jesus Christ has left a significant message not just to everyone who attended his King is Coming Tour Concert Crusade 2018 in the lion city of Singapore but for the rest of the world. The good pastor stressed that world peace can be achieved if only we have peace within ourselves first and if we reconcile to the Almighty Father who has created us. Pastor Apollo said that the only way man can be restored back to the Father is when he repents.